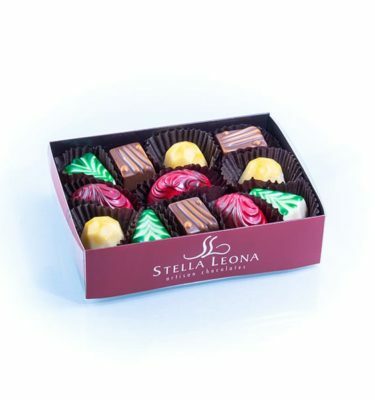 The 12 pc. 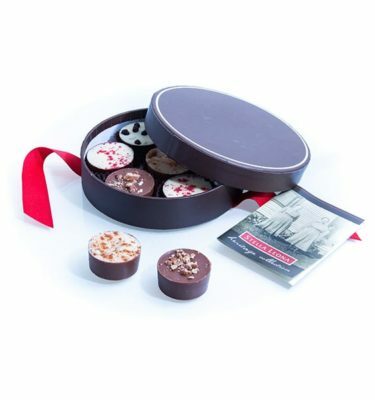 Truffle Sampler contains an assortment of four different truffles chosen by the chocolatier based on current availability from the following flavors: Cranberry White Chocolate, Mint Tea, Honey Cinnamon, Dark Chocolate or Hazel Coconut Dreams. 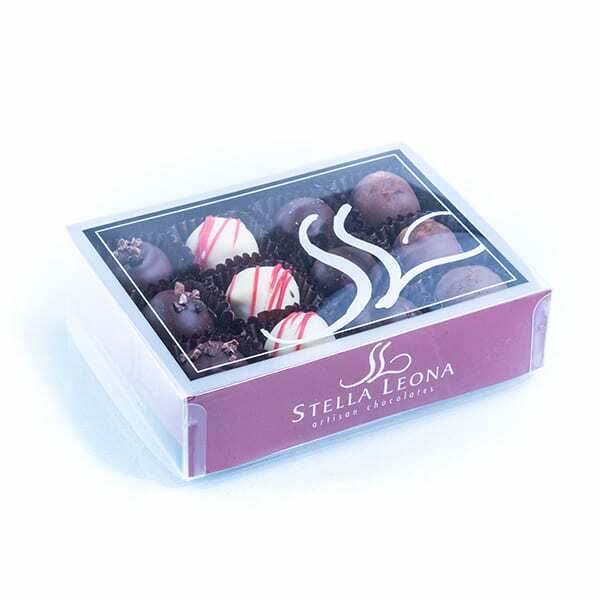 Dark Chocolate Truffle: made from decadent dark chocolate mixed with fresh cream. 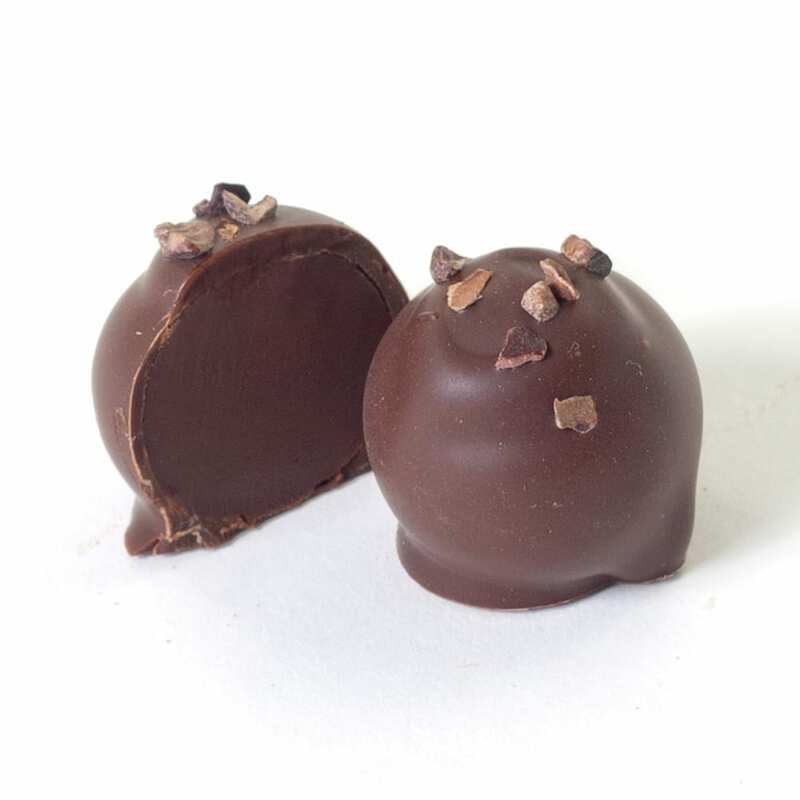 The center is enrobed with dark chocolate and finished with cocoa nibs. 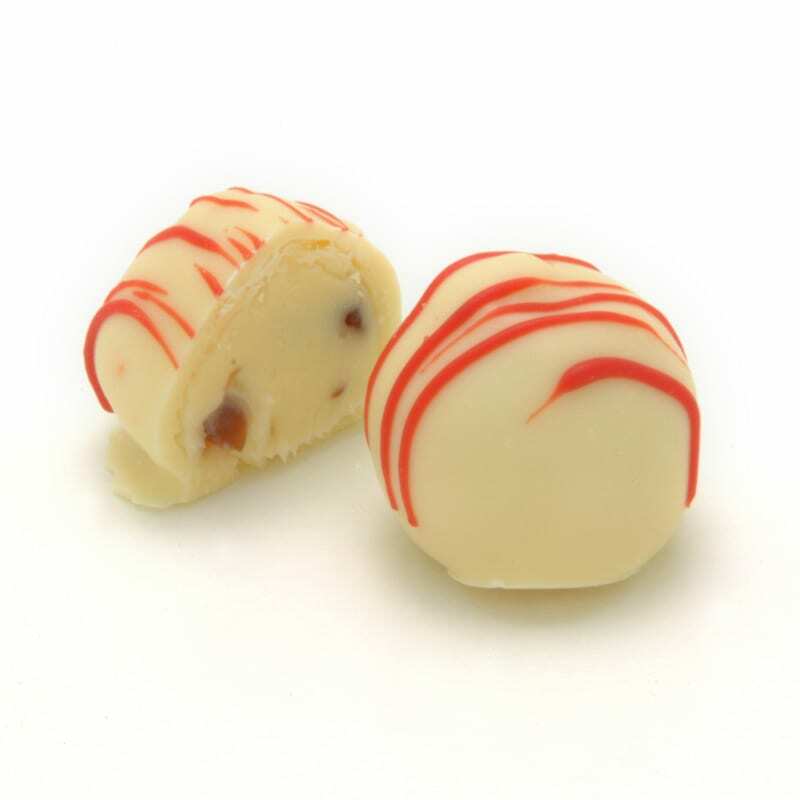 Cranberry Truffle: consists of a white chocolate cranberry ganache that contains bits of real, dried cranberries surrounded by white chocolate and red accents. 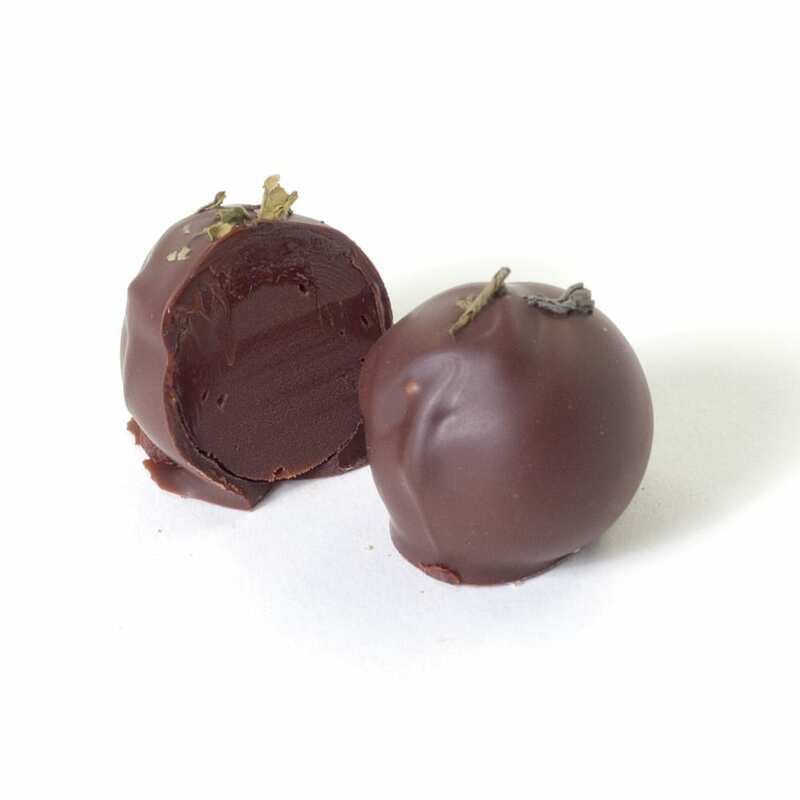 Mint Tea Truffle: made from decadent dark chocolate mixed with fresh cream infused with green tea and spearmint. 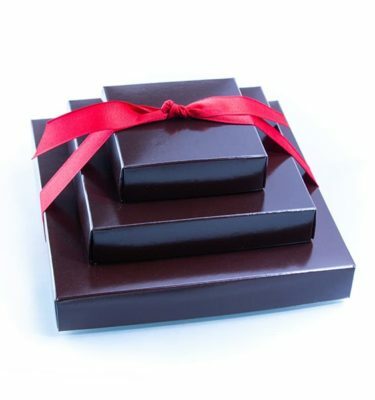 The center is enrobed in dark chocolate and finished with tea leaves. 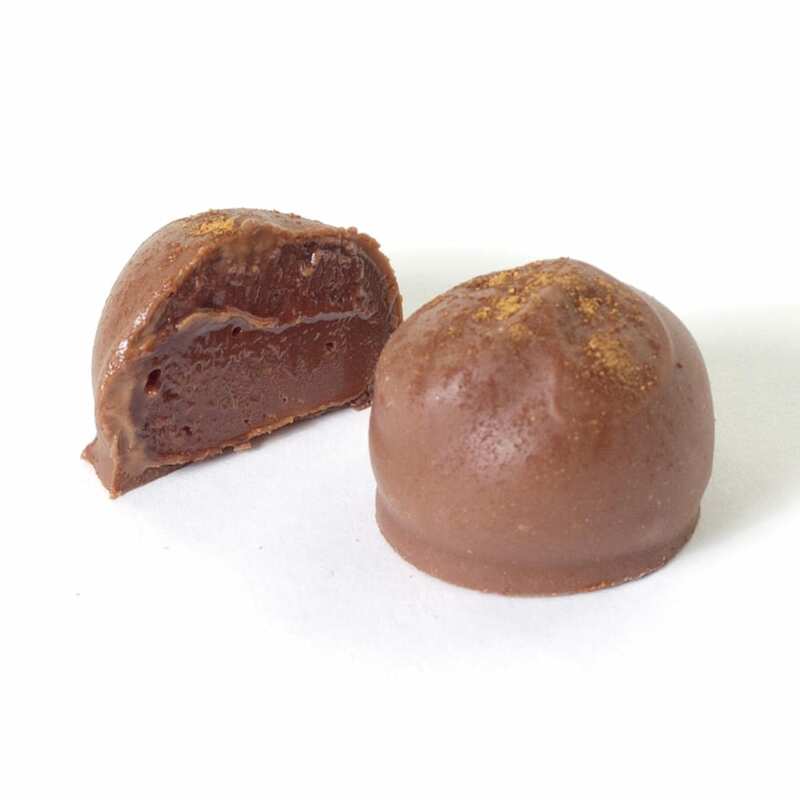 Honey Cinnamon Truffle: a mouth-watering honey cinnamon ganache center enrobed with milk chocolate and is finished with a dusting of cinnamon. 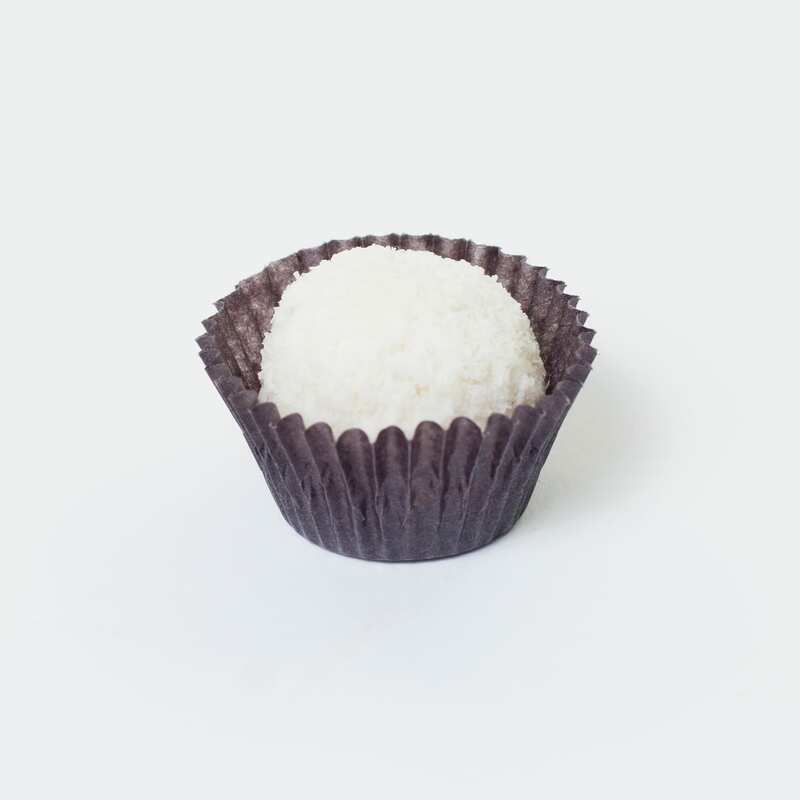 Hazel Coconut Dreams: a toasted hazelnut surrounded by coconut ganache, dipped in luxurious white chocolate and rolled in coconut shavings. 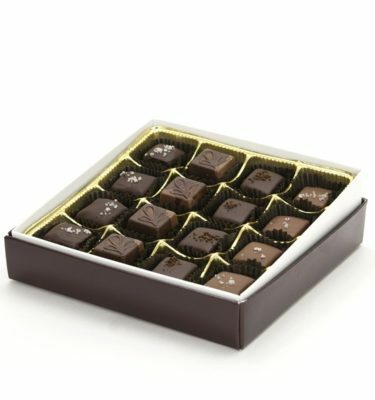 Crunchy and smooth all in the same bite. 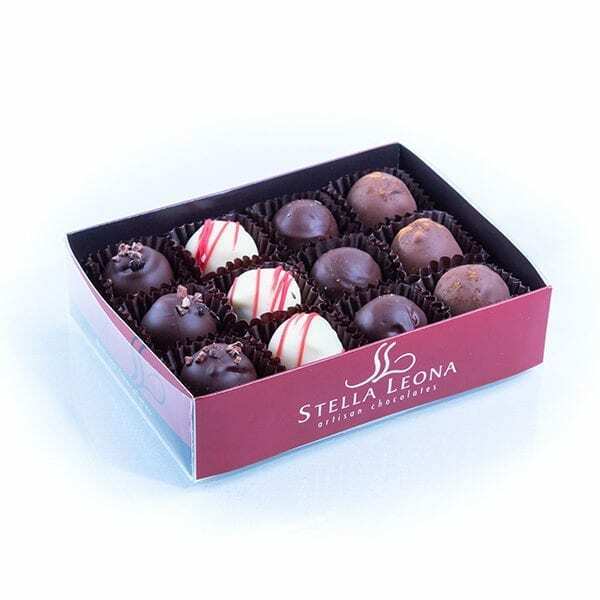 Dream away.